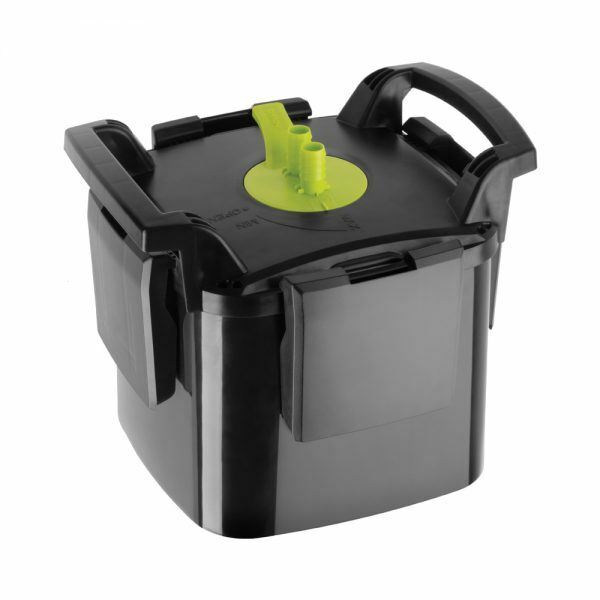 The new MAXI KANI product line includes canister filters fed by seperate high-performance pumps. The new MAXI KANI product line includes canister filters fed by seperate high-performance pumps. The filters combine a high filtration capacity with the freedom of installation. Their additional aqvantage is exceptional ease of use. thanks to their form factor, they can be used in shallow (10 cm deep or more), which makes them suitable for use also in aqua-terrariums.